We do it for the love of the doxies. We are not able to do what we do from large six figure corporate donations. We are able to do it through small, repeated commitments from everyday people just like you. Until you have had the moving experience of working with such a resourceful, dedicated group of people, you would never know that so much could be done with so little. Would you be willing to help us continue doing the work we love for the dogs we love even more? 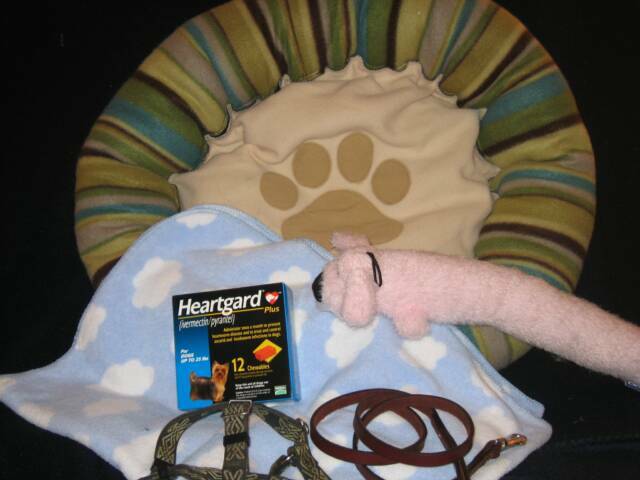 The DRSF "New Start Kit" has everything a doxie needs to start their new life: bed, blanket, leash, harness, collar, toy, and medication. A donation of $50 covers everything a doxie needs to start their new life in safety and comfort: Bed, blanket, leash, harness, toy, and fist meds (flea, tick, heartworm, and Capstar). The DRSF "New Start Kit". You can also purchase items on our wish list and we will assemble the kits! We have supply coordinators in West Palm, Broward, and Miami-Dade who are available locally to help receive your donations! Please email us and we can get someone in contact with you!